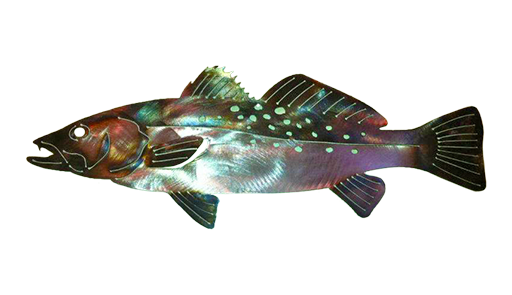 Our Speckled Trout is colored by hand with a torch and has a protective clear powder coat. Picture hangers have been attached to the back to make hanging simple and easy. Available in two sizes small and large.